Showing recent results 1471 - 1485 of 4364 products found. 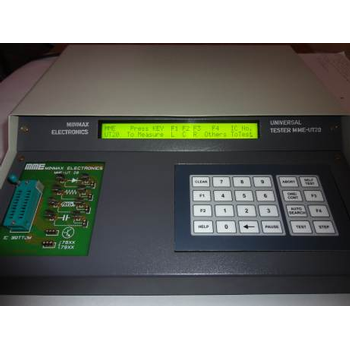 Model MEF is specially designed as DC versa meter for process system, it features: Wide standard DC input ranges of over 10 voltage & current ranges as 0-20, 0-40mA or 0-10V ect. With switchable rangeability for display scale to suit required engineering unit range from 0 to +4000 counts. With option of analog output of per mV per count, or simulating DC24V power applied to two wire system. With gain & offset of fine & coarse adjustment both from 0 to 165% full scale. The DF-210B / DF-211B are small-size, light weight and a low-profile with approx. 3 cm thickness flow meters designed for use on vehicles. The DF-210B measures instantaneous flow and accumulated flow with high resolution at 0.01 l/h in combination with FP-2140H / 2240H Positive-displacement Flow detectors. 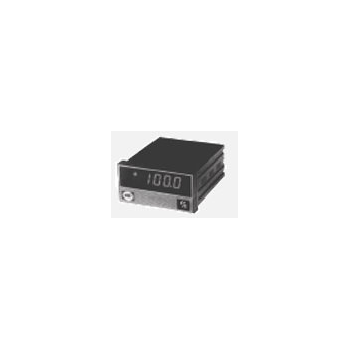 The DF-211B Extension Unit provides additional function to display the pressure, temperature, and elapsed time on-vehicle measurement. 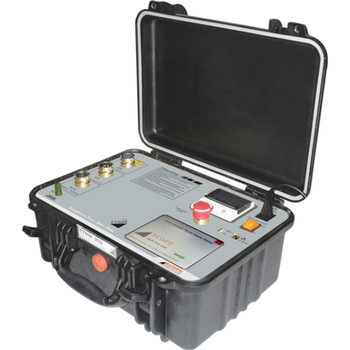 Portable battery box, DF-021A, is provided as an option, which is used to supply power to both units using its internal dry cell in case that the enough power supply is difficult on vehicle. 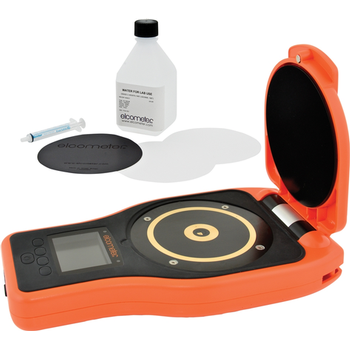 Take pinless (non-invasive) Moisture measurements on wood and building materials without damaging the surface with the depth of approx <4" (100mm) with Extech’s MO57 Moisture Meter. The ball moisture sensor provides smooth gliding on hard or delicate surfaces. Easy-to-operate with display icons that indicate the levels of moisture content plus audible alert feature. Ideal for building restoration projects and applications where moisture detection on floors, tiles and under carpets is critical. A musthave tool for analyzing the after-effects of water leakage behind walls and in ceilings and also measuring moisture content on a non-flat surface. TTRM 302 - Scope T&M Pvt, Ltd. SCOPE introduces state of the art precision three phase Transformer Turns Ratio Meter (TTRM ) designed for fi eld testing as well as factory testing of power transformers, instrument transformers and distribution transformers of all types. Along with turns ratio, this light weight and reliable instrument measures ratio deviation, phase angle deviation, magnetizing current and detects tap-position of single as well as three phase transformers in charged switchyard condition. The instrument has facility to automatically detect vector group of all majority configurations available. The diff erant AC voltage selection off ers high accuracy in measurement. MME - UT 20 is the latest Microcontroller based Universal IC tester with LCR Meter from Minmax Electronics. It functionally tests 74 series of TTL ICs 40 & 45 series of CMOS ICs, Analog/Linear ICs op amps, comparators, timers, transistor arrays, ADC, DAC etc., It also tests components like diode, transistors, UJT, FET, SCR, Displays, Regulators (78/79) and DIP relays. It also measures the values of Inductance (L), Capacitance(C) and Resistance(R). MME-UT 20 has Rs232 Serial Interface through which IC test Library could be expanded. Swain clips and clamps (MER2® Sensors) are constructed to reduce zero offset error and manufactured with aperture diameters from ¾” to 100″+ to date.Swain Clips & Clamps are hand crafted of quality materials with attention to detail.Clips and Clamps form a 360° closed loop around a conductor.Swain Clips and Clamps are also referred to in literature as “Sensors”.Swain Sensors are rugged and well suited for work in most environments including bridges, rigs, utilities, underwater and for offshore corrosion protection. .Our technicians build each meter and corrosion sensor by hand and calibrate them to exact specifications. HD 8701 - Delta OHM S.r.L. The sound level meter HD 8701 is a portable instrument, easy and quick to use, suitable for measuring industrial and civil noise levels. 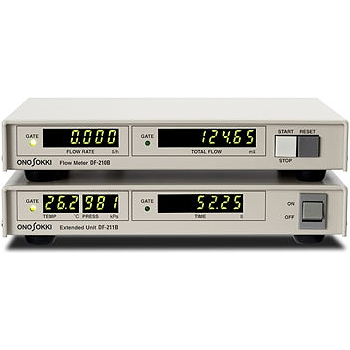 The noise levels can be read easily in dB (A) on the large liquid crystal display which also shows all the information concerning the mode of operation of the instrument. One second after switching on and with a resolution of 0.1 dB, the digital reading gives the continuously updated value of the RMS sound pressure level, with a type A frequency weighting. 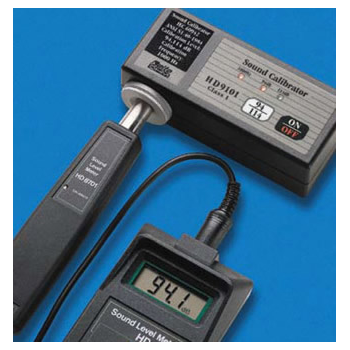 The single range from 30 to 130 dB further simplifies the use of the instrument, as the user does not have to change scale. HD 2010 UC - Delta OHM S.r.L. 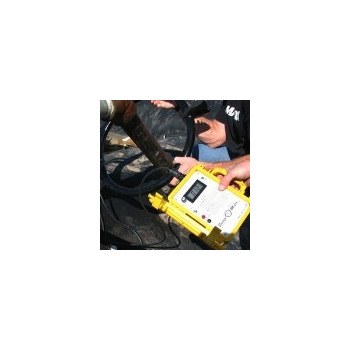 The HD2010UC is an integrating portable sound level meter performing statistical analyses. The instrument has been designed combining price competitiveness and simplicity of use. Attention has been paid to the possibility of updating the instrument, and the HD2010UC can be integrated, at any time, with other options like "Advanced Data Logger" to extend its application scope. The firmware can be upgraded directly by the user using the NoiseStudio program supplied with the instrument. The HD2010UC conforms to IEC 61672-1 of 2002, IEC 60651 and IEC 60804 specifications with class 2 or class 1 tolerances. 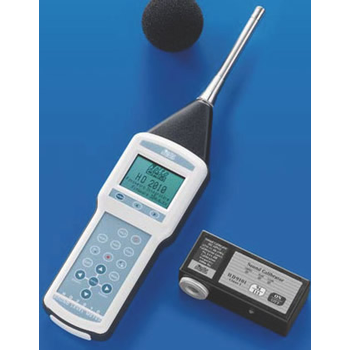 The acoustic calibrator complies with IEC 60942 class 2 or class 1 specifications. HD 2010 - Delta OHM S.r.L. 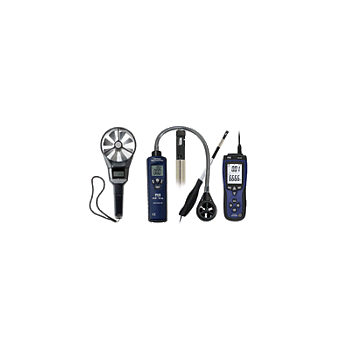 The HD2010 is an integrating portable precision sound level meter performing either spectral or statistical analysis. The instrument has been designed combining maximum usage flexibility, and simplicity of use. The instrument has been designed in order to offer high-performance analysis of acoustic phenomena, with particular regard to Italian legislation on environmental noise. Attention has been paid to the possibility of adjusting the instrument to regulatory modifications, and to the necessity of meeting its users' needs of today and tomorrow. The HD2010 can be integrated with other options to extend its application scope at any time; the firmware can be updated directly by the user by means of the NoiseStudio program. 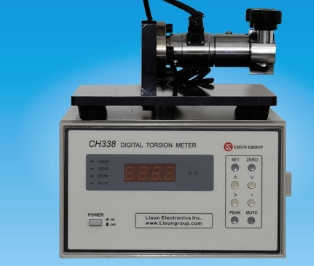 CH338 - Lisun Electronics Inc.
Digital Torsion Meter is mostly applied to measure the torque of all kinds of luminaries lamp cap. The CH338 is a newly developed intelligent product with microprocessor built-in. Specification: • Range: 0~10N•m; Accuracy ≤1% • Repeatability ≤0.5%FS; Over loading: 120%FS • It can measure the clockwise and anti-clockwise torque of lamp cap and it can preset upper limit alarm. The data won’t be lost after shutting down the instrument. • Instrument is convenient to be used because it has several mating clamps of various lamp caps such as E27/E26, B22d, E14/E12, G13/G5 and so on. This meter measures the moisture content of the material, consisting of a balance with a resolution of 5 mg and an infrared heater with a capacity of 185 watts. The sample weight can be arbitrarily, the automatic gross weight Is deducted, the numerical value is clear, and the function of automatically stopping the heating and automatically stopping the moisture value is provided. Static honest meter is professional designed to determine the attenuation of static electricity, corona discharge time, static voltage attenuation half-life, static decay curve and other electric property of fiber, yarn, fabric, textile or plate materials. 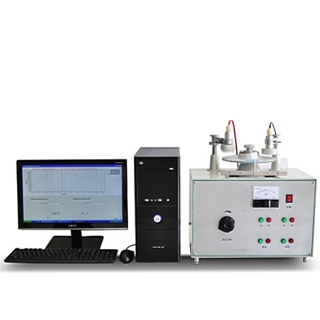 It is suitable for measuring the diffusibility of static in the testing samples. 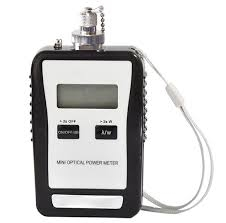 The VPM-20 is a light-weight and compact optical power meter that features easy-to-use functionality and economical cost advantages for measurements of absolute power in fiber optic systems. The VPM-20, in combination with the VLS-1310 or VLS-13/15 light sources, is the most portable and cost effective procedure for fiber optic testing.